Determining a stock's intrinsic value, a wholly separate thing from its current market price is one of the most important skills an investor can learn. Image source: Getty Images. Before discussing how to determine the intrinsic value of stock and whether it's under- or over-valued, let's first review what a stock is. It is not a piece of paper nor is it a ticker symbol displayed next to some numbers on a screen. A single share of a company represents a small, but real, ownership stake in a corporation. One stock's percentage of ownership is determined by dividing it by the total number of shares outstanding. While there are different types of stocks, stock ownership generally entitles the owner to corporate voting rights and to any dividends paid. Before purchasing these fractional ownership stakes to a particular company, it is important to understand that the stock's intrinsic value is not necessarily directly tied to its current market price, though some would have you believe it is. In fact, there are many who buy into the efficient market hypothesis, a theory that states that all known information is currently priced into a stock. The implication of this theory is that beating the market is almost purely a matter of chance and not one of expert stock selection. Most adherents of this theory simply suggest investing into an index fund or ETF because of the seemingly impossible task of beating the market. While it is hard to argue with the advice -- after all, passively investing into an index fund gives investors instant diversification in multiple stocks for low fees and immediate access to the stock market's historic returns -- it also doesn't take too long to see the holes in the theory. Active investors believe a stock's value is wholly separate from its market price. Investors use a series of metrics, simple calculations, and qualitative analysis of a company's business model to determine its intrinsic value, then determine whether it is worth an investment at its current price. Let's take a closer look at the tools investors use to value a stock. Walmart's shares are currently valued at a P/E ratio of 26.48. This is the number (or something close to it) found on most financial websites at the time of writing, but is it the most accurate? This P/E ratio was calculated using GAAP (generally accepted accounting principles) earnings. GAAP is a set of universal standards for public companies to follow when reporting their earnings. While the GAAP rules were given so that a universal standard exists to keep some companies from hiding the company's performance from investors, the truth is they do not always show an accurate snapshot of how a business is performing. There are plenty of reasons why the GAAP earnings might not present a true picture of a particular company's business. Perhaps the company sold off a struggling division and now has to count the proceeds as earnings in the quarter, making it look like the earnings jumped. Or maybe the company recorded a huge tax benefit that will cause earnings to temporarily spike. What's a good P/E ratio to buy a stock at? Unfortunately, there's no P/E ratio set in stone that makes a stock a buy if it's below, or a sell if it's above. There's no Mendoza line in investing! Often value investors and growth investors will look for different things in a P/E ratio. 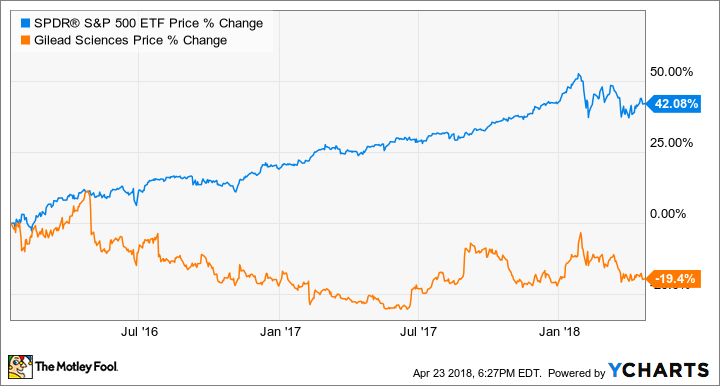 The greater the difference between the stock's intrinsic value and its current price, also known as the margin of safety, the more likely a value investor will consider the stock a worthy investment. For value investors, generally speaking, the lower the P/E ratio the better. The forward P/E is easy enough to find once you know how to solve for the P/E ratio. The forward P/E ratio is the exact same equation with one substitute: Instead of using the EPS from the trailing twelve months, we use the projected EPS the company is expected to produce over the next fiscal year. In other words, the formula is calculated by dividing the stock price by the company's expected future earnings. Personally, I prefer to use the company's guidance if it provides these figures, but others prefer to use analyst estimates. The PEG ratio is calculated by dividing the company's P/E ratio by its expected earnings growth. This formula can be played with a bit, as investors can plug earnings growth over different time periods into the equation but, generally speaking, most investors use a projected five-year growth rate for EPS. While this formula is a great tool for measuring companies' P/E ratios relative to their expected earnings growth, five years is a long time. A lot of assumptions are built into that formula that might not come to pass. While using the P/E ratio as a building block is probably the most popular method to value stocks it is far from the only way. Another common technique to valuing stocks is the price/sales ratio. The P/S ratio is determined by dividing a company's market cap -- the total value of all the companies outstanding shares -- by its annual revenue. Because this ratio is based on revenue, not earnings, it is widely used to evaluate public companies that are not yet profitable and rarely used on stalwarts with consistent earnings such as Walmart. However, because of Amazon's inconsistent earnings growth, it would probably be one of the preferred metrics to use to evaluate the online retailer. Another metric useful for evaluating some types of stocks is the price-to-book ratio. A company's book value is equal to a company's assets minus its liabilities (found on the company's balance sheet). The book value per share is determined by dividing the book value by the number of outstanding shares for a company. Finally, to solve for the ratio, divide the share price by the book value per share. Admittedly, this is a much more complicated process than the ratios mentioned above and is not too useful for asset-lite business models, like software tech companies. It is useful when evaluating banks and other financial institutions that carry a number of assets on their balance sheets. For investors, it's just another tool in the toolbox that can be useful when evaluating certain types of companies. A value trap is a stock that appears to be cheap but, in reality, is not because of deteriorating business conditions. Examples of traps include pharmaceutical companies with a valuable patent set to expire, cyclical stocks at the peak of the cycle, or tech stocks in the midst of having their expertise being commoditized away. Unfortunately, this is a pitfall I have firsthand experience with. In early 2016, I bought shares of Gilead Sciences, Inc. (NASDAQ: GILD) for just under $93. At the time, Gilead's trailing twelve months EPS was $11.74 giving it what I thought was a dirt cheap P/E ratio of 7.9 -- I thought shares were a steal. While I knew new competition to its Hepatitis treatments were entering the market, I thought there was more than enough market share to go around and that the margin of safety was great enough to make it a worthwhile investment. If you're familiar with the stock, you know what happened next. That's right, Gilead has underperformed the market by about 60% since my purchase. While I sold my shares about a year after my purchase once I realized my mistake, it not only came at a realized loss but also cost me a golden opportunity to capitalize on some discounts to some of my favorite stocks. Ouch! This is why it's so important to not only do some quick and dirty computation before you buy a stock but also to evaluate the quality of the business you're buying. There's more to valuing a stock than just crunching numbers. Investors have to take into careful consideration qualitative factors also, such as a company's economic moat. Moats encompass companies' competitive advantages, such as a network effect, cost advantages, high switching costs, or intangible assets (e.g. patent, regulations, or brand recognition). Quality should be carefully considered when looking at a company's value. As Warren Buffett famously said, "It's far better to buy a wonderful company at a fair price than a fair company at a wonderful price." That being said, it's imperative investors understand how to find a company's intrinsic value apart from its current share price. Having the aforementioned tools in their tool belt will help anyone looking to value stocks and companies while investing.